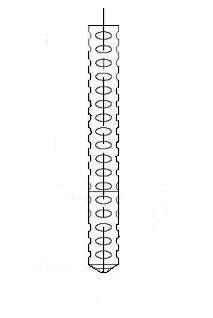 The DBA08-674-18 is 1/2″ in diameter by 42-1/8″ in length before welding. Length is approximately 1/8″ shorter after welding. It is made of low carbon steel, ASTM A496, 1010-1020.